We all have days when it all seems too much. When work just continues to flow in without a break. And it’s not like you didn’t already have enough to do. When this is just the odd occurrence it can feel tense, but manageable. But when stress becomes your de facto state because you never seem to have enough time, it’s time to take some action. But what can you do to solve this problem? Running away and hiding is one option. Perhaps not the best choice, though. Stress management is another option, but even that won’t necessarily solve the ultimate problem: you just don’t have enough time. This is where time management comes in to save the day. In fact, even if you’re feeling pretty on top of things, it’s never a bad idea to spruce up your time management skills. Because, let’s face it, who wouldn’t want more time in their day? All of this adds up to one big reward: less stress for you! 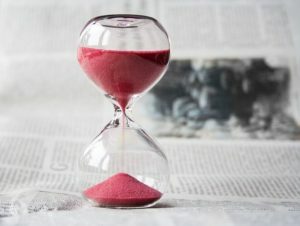 If you’d like to do a deep dive, and really get on top of your time, you can book on to our one day Time Management programme, and take your skills to the next level, view our Public Programme Dates, to see the next available training date for this course.. To book your place or find out more, place please email us on training@underscore-group.com.